Mark G. Boyer, a priest of the Diocese of Springfield-Cape Girardeau, Missouri, for thirty-five years, is the author of thirty books (four previously published by ACTA) on biblical and liturgical spirituality. Before founding St. Francis of Assisi Parish, Nixa, Missouri, in 2004, he served as editor of The Mirror, his diocesan newspaper, for over fourteen years, winning twenty-eight journalism awards in various competitions. Fr. 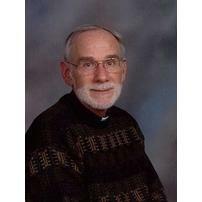 Boyer is a monthly columnist for The Priest magazine in which he reviews all types of books. He is also a part-time member of the Religious Studies Department of Missouri State University, Springfield, Missouri, where he has taught courses in both Old Testament and New Testament for over twenty years. He also teaches courses in film, using contemporary films to illustrate biblical themes. He holds Master’s degrees from St. Meinrad School of Theology, St. Meinrad, Indiana; Indiana University at Bloomington; and Loyola University, New Orleans.